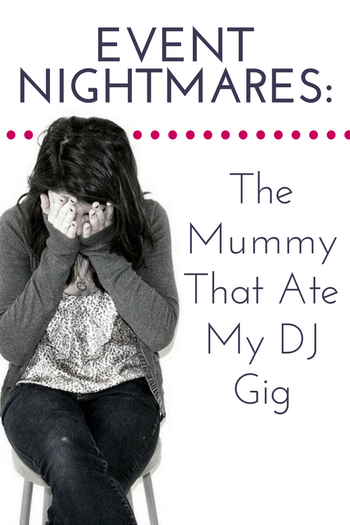 I made a huge, embarrassing mistake in our first year as DJs. It’s so bad I still cringe thinking about it. A friend of a friend had “connections” at a local summer camp and they were auditioning new talent. The hours were short, the pay was good, and we had an in. The catch: we needed to audition to get the job. The Big Audition for camp entertainment fell on a work day and Jeff couldn’t go. I was on my own. I would have 10 minutes to perform for a group of kids and prove myself worthy of hiring. Bring only a boom box and mic, since I didn’t have time to set up our equipment. Do an interactive game called the “Mummy Wrap” with the kids. Rock the audition and get the gig. I was a nervous wreck on the day of the audition and almost couldn’t find the school. When I drove in, a wave of fear came over me. It was a school for troubled pre-teen boys. There must have been 200 young, rambunctious boys in the audience. I waited in line behind a puppeteer, a magician and a juggler. Just me, my boom box and several rolls of toilet paper. Here’s how the Mummy Wrap game is supposed to work: I get 3 volunteers and create a team for each. Their mission is to wrap as much toilet paper around the “mummy” as possible during the duration of a song. It was clear this was a very, very bad idea. When it was my turn, I stepped out in front of the group of boys with my rolls of toilet paper…and all hell broke loose. The next five minutes were some of the most painful of my life. With a beet red face, I tried with all my might to control the kids, but it was hopeless. Excited boys swarmed the stage and toilet paper went everywhere. I finished my “act” and slinked out of the auditorium, getting looks from the other performers that were either pitying or superior. Now that the years have passed, I look back and laugh. And I’m absolutely grateful for the experience. I learned A LOT that day that I took with me into our wedding career. 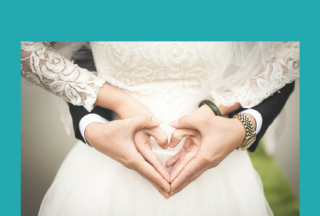 #1 – Do your homework before the wedding. I was clueless about the environment and audience I was walking into. If I’d known that the audience was going to be pre-teen boys with behavioral problems, I wouldn’t have chosen such a potentially unruly activity. I could have called up other performers or questioned the camp crew to learn what the audition was going to be like. Instead, I made a rookie mistake by not knowing what I was walking into and got burned for it. Takeaway: When doing a wedding in an unfamiliar environment, do a site visit or at least have a detailed call with the venue. #2 – Have a Plan B.
Let’s say it was impossible for me to ascertain the environment I’ll be working in. If I’d been smart (which I clearly wasn’t, in this case) I’d have an alternative plan of attack. I could have done the good ole YMCA, for Pete’s sake! More options mean you can zig or zag according to the needs of the moment. 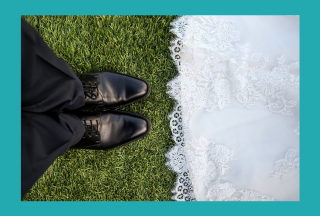 Takeaway: Consider possible scenarios before each wedding and be prepared to change plans if necessary. #3 – The first time you do something it’s going to be the WORST – but you’ll survive. Yes, it was a humiliating experience making a fool of myself like that. No one in their right mind would have hired me! It could have crushed my spirit forever and made me vow never to speak or perform in public again. But it didn’t. I snuck out of there in one piece, and I learned from the experience. Today, it’s one of my favorite funny embarrassing stories. Takeaway: Be kind to yourself when you screw up. Chalk it up to a learning experience and know that in the future, you may even look back and laugh. I’m at the place in my life now where I’m not afraid to embarrass myself. The more I’m willing to risk, the more opportunities and fun are available to me. My goal is fully experience everything life throws at me – even the most challenging and uncomfortable moments – and to be grateful for every one. What’s your most embarrassing wedding story?